When Portland State University hired Dr. Curt Peterson twenty-five years ago, one of the tasks they gave him was to research the geographic extent and stratigraphy of the Lower Columbia River channel. Prior to charging this task to him, Portland State University had not conducted any geologic research into this important local geologic feature, and the only geologic section that had been done of the channel was at the Astoria Bridge. The Columbia River is unique on the West Coast of North America, as it is the only river to have eroded its way through the Cascade Mountains and Coast Range. It drains an enormous area, which includes the Snake River Basin of Idaho, its own origins in Washington, Idaho, Montana and British Columbia, and the Willamette River Basin of Oregon. It is also the largest river in the Pacific Northwest and the fourth largest river by volume in North America. There are also many stakeholders in the Columbia River system, from navigation to municipalities to agriculture to transportation across the river. Fortunately this made it easy to access funding for studies of the river’s channel, and also there were private interest groups willing to share their data with the research group in order to gain a comprehensive picture of the system. Data collected by the researchers and private companies included seismic profiles, sonic rotary drill cores, well log data, and SPT data (drillhole stratigraphic consolidation info). Peterson’s group confined their study to the Lower Columbia River Valley, which stretches from the mouth of the Columbia River Gorge on the east to the mouth of the Columbia River near Astoria, Oregon. Peterson’s work focused on the sedimentation within the channel in modern and previous geological times. The research group studied the modern Holocene sediment by examining its geometry, consolidation, and the mineralogical content of the sample cores for the origins of the sediment. They also located key temporal marker layers such as Mt. Mazama ash (eruption of 7700 years ago) and several eruptions of Mt. St. Helens, the most active local Cascade volcano in recent times, within the core samples they took. The group also studied the stratigraphy below the Holocene sediments, which included the Missoula Flood gravels of the Pleistocene and older river gravels of the Troutdale Formation. Below these layers were rocks such as Sandy River Mudstone and Columbia River Basalt. Peterson’s group generated isopach maps of the river channel. The channel sediments are widest directly northwest of Portland and between Clatskanie and Astoria. Between these wider zones the channel is cutting through the hills of the Coast Range and is much narrower. The group also generated river channel stratigraphic sections at key points along the valley, including the Astoria Bridge, Oak Pt.-Clatskanie, Longview-Rainier, Sauvie Is.-Vancouver, I-5 CRC (proposed Columbia River Crossing site), and the I-205 bridge. The channel sections generally have variable width as discussed above, decreasing grain size and increasing depth. The Holocene sediments vary from about 35 meters in most of the I-205 cross section (with one 60m dip) to 120m at the Astoria Bridge. Some peculiarities characterize some of the sections, such as muddy sand to mud sections along the outside edge of the great bend the river makes in the Portland area, a huge thick deposit of Missoula flood gravels under the very wide section at Sauvie Island, and an island of bedrock (Mt. Solo) in the river at the Longview Bridge. Probably the most significant finding in the study of the Lower Columbia River stratigraphy is the unusual depth of the Holocene sediments. The Lower Columbia River has one of the deepest sediment fills in North America. The stratigraphic layers below the Holocene are particularly important for siting building foundations for large structures such as the I-5 bridge crossing using current seismic design practices, as they are much more consolidated than the Holocene sediments. The current interstate bridge foundations are all sited within the Holocene sediments, which are too unconsolidated to survive the seismic shifting expected during a Cascadia Subduction Zone Earthquake. A key environmental factor in the depositional environment of the Holocene sediments of the Columbia River was the effect that rising ocean levels had on the flow of the river in the lower reaches. At the end of the Pleistocene the continental glaciers were melting swiftly, so that the early Holocene saw rapidly rising ocean levels. This push of rising water had the effect of increasing the depth of the river in its lower reaches, and as the river valley was not steep sided, widening the river considerably, creating an accommodation space for the sediment. The increased channel area subsequently slowed the current sufficiently (as total flow = area x current speed) so that the fine grained mud sediments were able to deposit out of the moving water rather than being washed into the ocean basin. 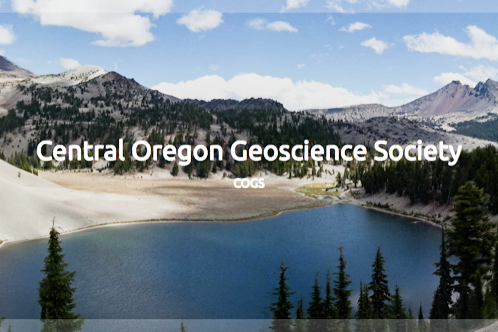 Peterson’s group was able to demonstrate that the deposition of sediment in the lower reaches kept up with the rising ocean level by comparing independent determination for ocean level rise against temporal markers in the Columbia River Holocene sediments. Also, this effect has lessened over time since ocean level rise has slowed. In the middle and upper reaches of the Lower Columbia River Valley the Holocene depositional environment differed from the lower reaches. In the middle section the Coast Range mountains prevented the river from spreading much laterally, so the increased water velocity generally prevented the finest material from settling. Thus the channel sediments are narrower and the grain size of the deposited material is larger. In the upper reaches the river channel is somewhat less constrained and there are areas of mud and sandy mud but also large volumes of sand deposits. Peterson’s group also studied the abundance of three key minerals in a number of the borehole samples in order to determine the contribution of sediment from the three provenances of origin over time. During the early Holocene large amounts of postglacial sediment came from the northeastern Washington/Idaho/Canadian provenance. As more modern times approached and the climate shifted, higher percentages of the sediment load in the river came from the Willamette River/volcanic arc provenance. The contribution of the Snake River to the sediment load was more or less steady throughout the Holocene. So, Peterson’s body of work on this river channel encompasses the origin of its sediment, the processes that put it in place, its makeup and extent. This knowledge is beneficial in navigation, planning the building of structures in and near the river and locating wells and other subsurface work along the river channel. Peterson’s article is available online at this PDX Scholar library link.